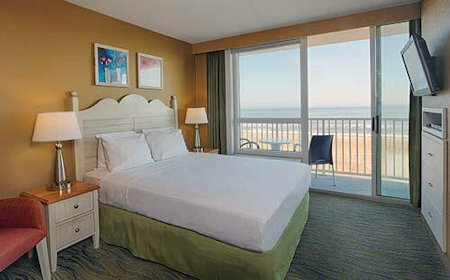 Boardwalk Resort Hotel and Villas in Virginia Beach, Virginia! Buy a 7 Night Stay in a Studio, 1 or 2 Bedroom Suite! 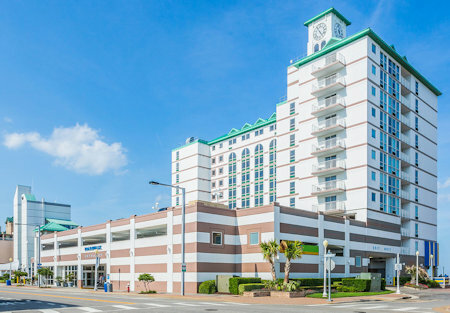 The oceanfront Boardwalk Resort Hotel and Villas is located directly on the boardwalk in the heart of the Virginia Beach resort district. Every villa is fully appointed and has a balcony to enhance your vacation experience. 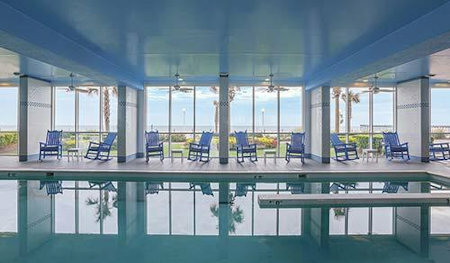 Amenities include a spacious indoor pool, hot tub, and fitness center with state-of-the-art exercise equipment. 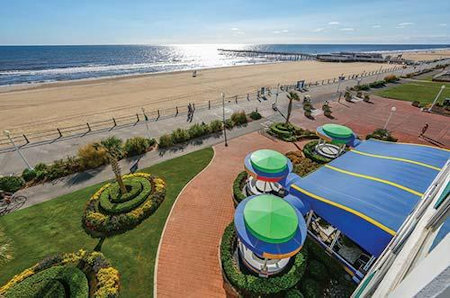 Guests are near all the fine dining, entertainment, and attractions of Virginia Beach. Museums, shopping, fishing, and championship golf are nearby. Every unit features new and beautifully styled carpet, sofas, bedding and curtains. 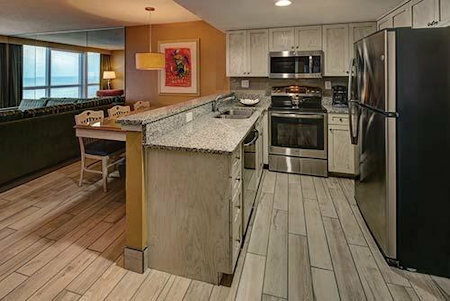 For your convenience, suites boast full kitchens, stocked with plenty of cookware, dishes, and appliances, as well as a generous breakfast table with seating for six. 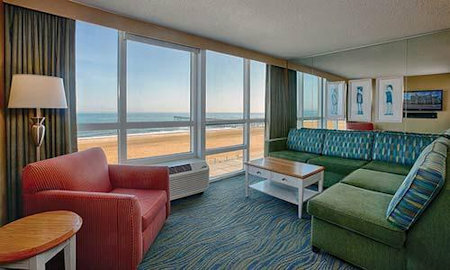 Other amenities, including lush grounds, quiet settings and our friendly staff, make these spacious, seaside rentals ideal for your VA Beach vacation! Your STUDIO UNIT will accommodate 2 guests. Studios come with a double bed and kitchenette with microwave, refrigerator, and dishware. Your 1 BEDROOM SUITE comes with a full kitchen and will sleep up to 4 people. The unit has 1 queen bed and a pull out sofa. Your 2 BEDROOM SUITE comes with a full kitchen and will sleep up to 6 people.